I absolutely loved my stay at Reset Hostel! Even though my stay was short, it was incredibly enjoyable and relaxing! The hostel has a beautiful aesthetic and is very clean/organized : the murals and eco-friendly signs throughout the halls are nice touches. 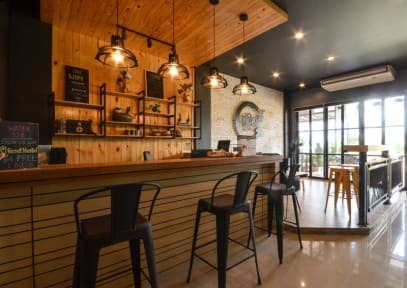 The hostel is just a few meters from the beach and nice restaurants in Krabi. The owner, Oily, and her family are absolutely lovely...so kind and heart-warming. 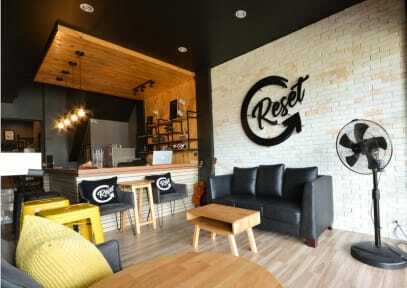 I can't wait to come back to Krabi and stay at Reset Hostel in the future! This is definitely one of the best hostels I've ever stayed in! Not only it's nice, cozy, clean and five minutes from the beach, but the owners are incredibly nice and they really do their best to make you feel at home. If you are looking for a nice and relaxing place you really can't miss this!